I try to use every chance I can to eat as "right as possible." 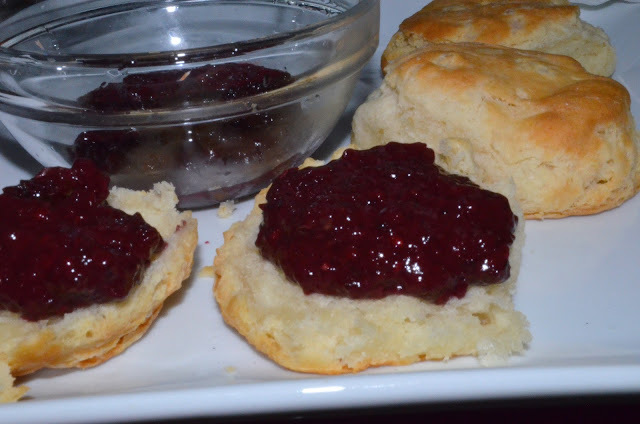 Well even though I know that eating a buttery Southern biscuit isn't healthy, I tried to make it a part raw meal by using a raw jam. I love using blackberry or peach preserves on my biscuits normally. This time I decided to try this raw recipe....which only uses fruit and medjool dates. The medjool dates help the raw fruit mixture take on a thick "preserve" type texture. 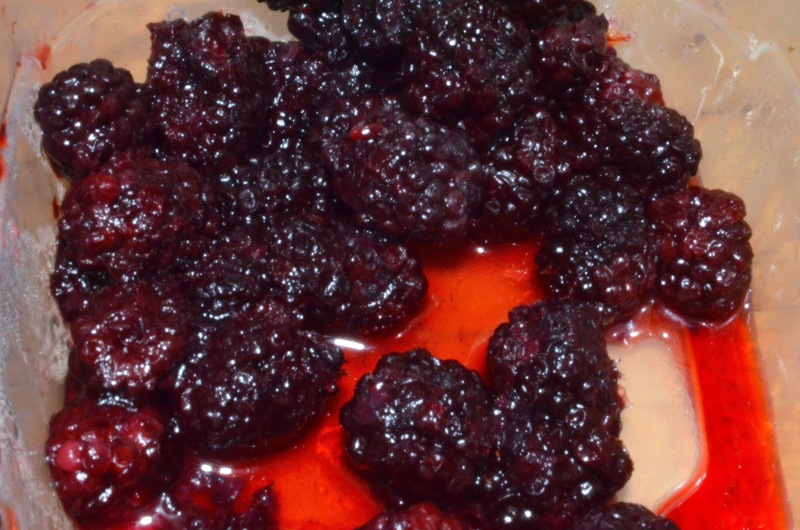 Put the blackberries and dates in a blender and process until smooth. 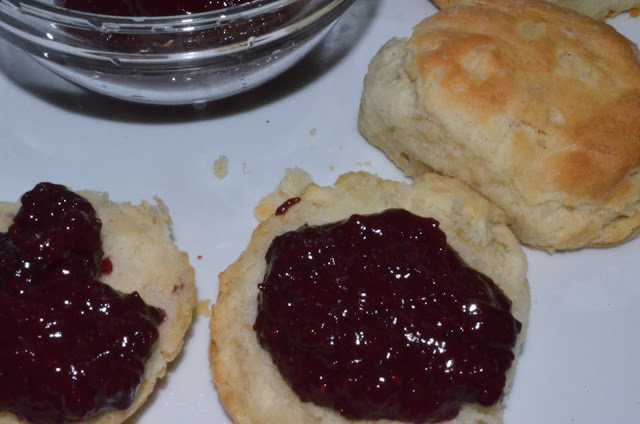 Stored in a sealed container in the refrigerator, Blackberry Jam will keep for about 5 days. Cool recipe. Does it have a natural sweet taste?